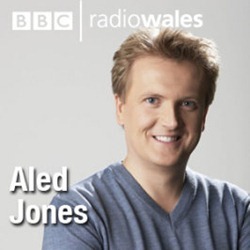 Mike Batt was interviewed on Aled Jones’ popular Sunday musical chat show on BBC Radio Wales. 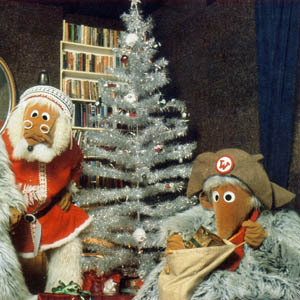 The one-hour radio show is available to listen again on the BBC iPlayer or to download as a podcast until 23 May. 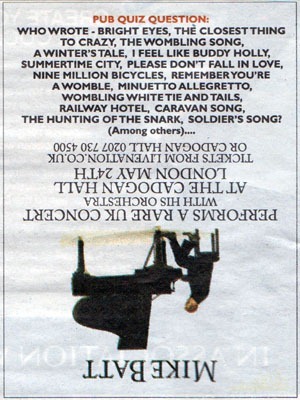 This advert appeared in the London Evening Standard newspaper on Friday, 7 May. 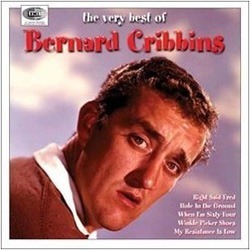 A Facebook campaign is aiming to get Bernard Cribbins back into the charts with his 1962 hit Right Said Fred. 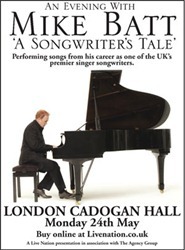 Mike Batt, the Wombles songwriter and performer, has announced a one-off concert at the Cadogan Hall in London. 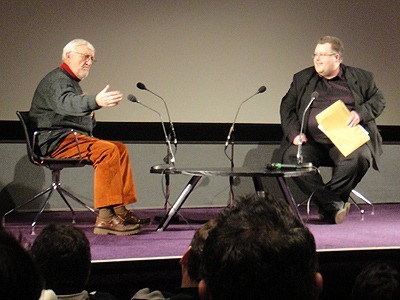 Bernard Cribbins talked about his time as the voice of The Wombles during an appearance at the BFI Southbank in London on 16 January. 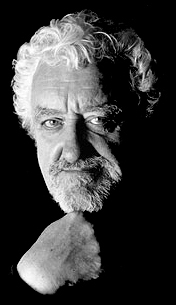 Bernard Cribbins has been voted the fourth best-loved voice from British children’s television. 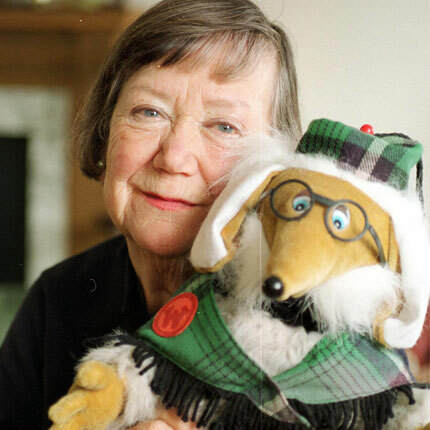 He will be signing autographs at the Collectormania fair in Milton Keynes on Saturday, 5 May 2007.